A little time travel into the past. Here is an amazing photo sent to us by Black & White India chess magazine. 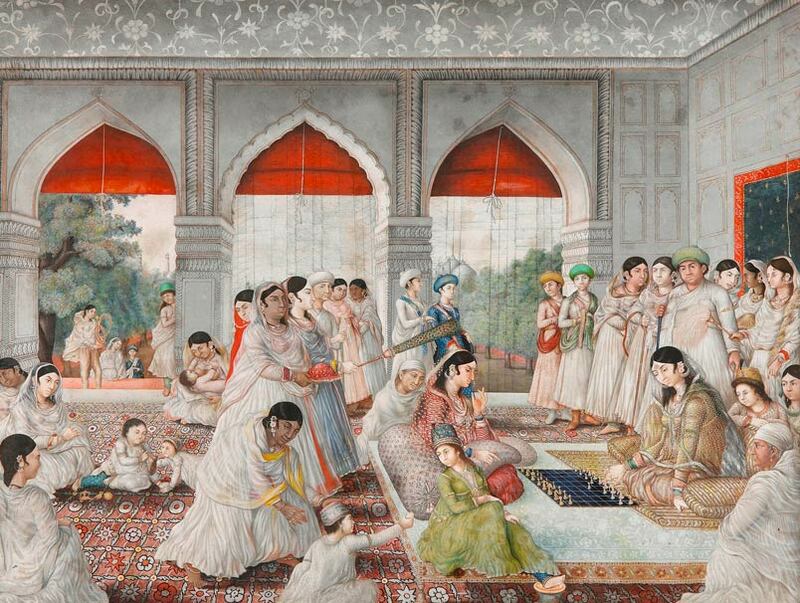 It's titled 'Noblewomen playing chess', Lucknow, India in 1780-1800. Attributed to Nevasi Lai (India, fl. c. 1760-75), Noblewomen playing chess, ca. 1780-1800, India, Uttar Pradesh, Lucknow, Opaque watercolor and gold on paper, 47 x 62 cm), Muséenational des Arts asiatiques – Guimet, Paris, MA 12112, Photo © Musée national des Arts asiatiques Guimet, Paris, France (MA12112)/Réunion des Musées Nationaux, Paris/Art Resource, NY (ART408511 by Thierry Olivier. Lucknow historians say this watercolour is one of the rare paintings that survived the Siege of 1857/8 (Mutiny for Indians, Siege for British). Lucknow was a rich and prosperous city before the event and the nobles led a luxurious in the city. This painting depicting two noblewomen playing chess whilst family members and attendants gather to watch and relax during the heat of the day. Nevasi Lal was an artist working in the city towards the end of the 18th century. It is likely that the composition may have been inspired by a painting by the British artist Tilly Kettle. Kettle visited Faizabad in 1772 and it is presumed that a large number of his works were moved to Lucknow following the removal of the capital there in 1776. These survived there until the Mutiny of 1857 and were therefore available for local artists to study and copy. Henry Thomas Colebrooke, the eminent Sanskrit scholar who worked in India between 1782 and 1814, is believed to have brought this picture back to England. Colebrooke was the son of Sir George Colebrooke, M.P., the Chairman of the East India Company 1769. Henry Thomas was first appointed to a Writership in the Bengal Service in 1782. By 1786 he was the assistant collector at Tirhut and from there he proceeded to Purneah. It was during this period that he became a contributor to Asiatic Researchers. In 1795 he moved to Mirzapur, near Benares, from where he published three years later his famous and influential Digest of Hindoo Law. In the early years of the 19th century he was made Professor of Hindoo Law at Fort William College, Calcutta, where he also sat on the Judiciary. In 1807 he was appointed to the East India Office Council. On his return to England in 1814 he presented his highly important collection of Sanskrit manuscripts to India House (now in the British Library). Our friends at Black & White add that: However, later followed a movie by Satyajit Ray titled 'Shatranj ke Khiladi' which depicted how noblemen were so lost in a game of chess that they wouldn't budge even on being told that the British soldiers had arrived at the gates of the city! Since then, the popularity of chess has waned in the city. 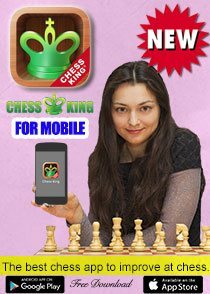 Traditional players still love the game but over the years chess has become synonymous with "wasting time" and "idle youth". 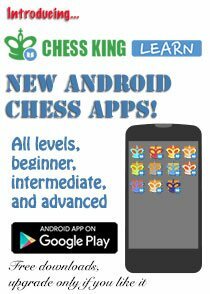 Hopefully, things might change slowly as more parents begin to see how chess benefits in education too. This is just awesome. Women playing chess in the 18th centural wow. Awesome. Thanks for sharing. That's wow. Nice report there. That film is iconic. 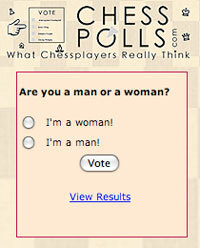 i never knew chess was so much ingrained in the social fabric of india. after reading your post i just want to pack my bags and fly away. india, i am coming. I USED TO THINK LUCKNOW IS ONLY IN CANADA. GOSH- THERE ARE TWO AND THE LATTER SEEMS TO BE HOME TO THE GAME I LOVE TO PLAY. Yes chess is a legacy. Very nice picture. Wow that's almost like a tournament. A whole extended household watching two women play chess. Nutty. Very pretty. In real it must be awesome. I wouldn't mind hanging this in my living room. Is this for sale? Available someplace? Very interesting post. I have visited India several times. It is different. No method in the chaos but somehow the country just holds together. Too bad the US issued a terror alert today to travel to India. Sad. I wish there were peace and all wars were fought only on the chess board - Yes, I borrowed that line from your Chess and Peace Campaign dear Chess Queen. Hope they remain safe. Their festival season coming up and its really sad all this terrorism. Wajid Ali Shah, poet, singer, avid patron of the arts and lover of Lucknow. Of him it was written, "He is entirely taken up in the pursuit of his personal gratifications. He has no desire to be thought to take any interest whatever in public affairs and is altogether regardless of the duties and responsibilities of his high office. He lives exclusively in the society of fiddlers, eunuchs and women: he has done so since his childhood, and is likely to do so till his last." ('The Private Life of an Eastern King' by William Knighton.) This portrait of Wajid Ali Shah was used to justify British annexation of Avadh. If the charges of mismanagement levied against Wajid Ali Shah were true, the British were as much responsible for this as the Nawab. They were more in control of the administration and finances of Avadh since the 1780's than the Nawab. In addition, Avadh had been impoverished by the incessant cash demands of the British on the Nawab. The excuse at last came for the British to invoke that clause of the 1801 Treaty. And the Governor General in 1856, Lord Dalhousie, was just the man to do it. Avadh was annexed, Wajid Ali Shah shipped off to virtual imprisonment in Matiyaburj in Calcutta and, though this was not on the British programme, the stage set for the greatest rebellion to date against their power in India. One of Wajid Ali Shah's wives, the Begum Hazrat Mahal, remained in Lucknow, and when the Mutiny came in 1857, she put herself at the head of those fighting for freedom. The Begum never did surrender, she died in Nepal in 1879. Thanks Chess Queen for carrying our story. Best wishes. Please why are my comments not appearing on this site. I have written 10 comments. Do you have something against people from Cairo? 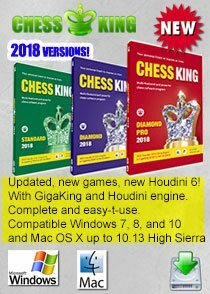 India has a tradition of chess quite like Russia - the only difference is that in India it was played when society was affluent while in Russia it flourished because of the cold and everyone snowed in. At least that's what my analysis is. My congratulations for sharing such a beautiful photo from my hometown. Glorious. You have a great blog Alexandra. 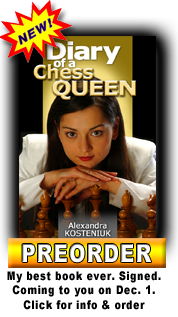 I am a regular reader of your www.chessqueen.com also. I follow your twitter both in English at @chessqueen and @kosteniuk in Russian though I don't understand Russian. 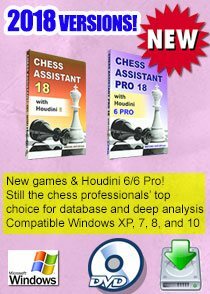 You are a global icon for the popularising of chess. I hope one day you too shall join politics and give broader visibility to issues of peace and democracy. Monday chess puzzle for a checkmate in three! 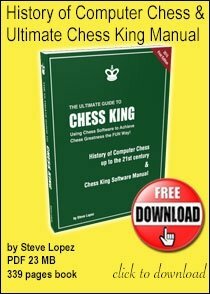 The chess train chugs out - are you on it? Sunday chess puzzle for some solid thinking!